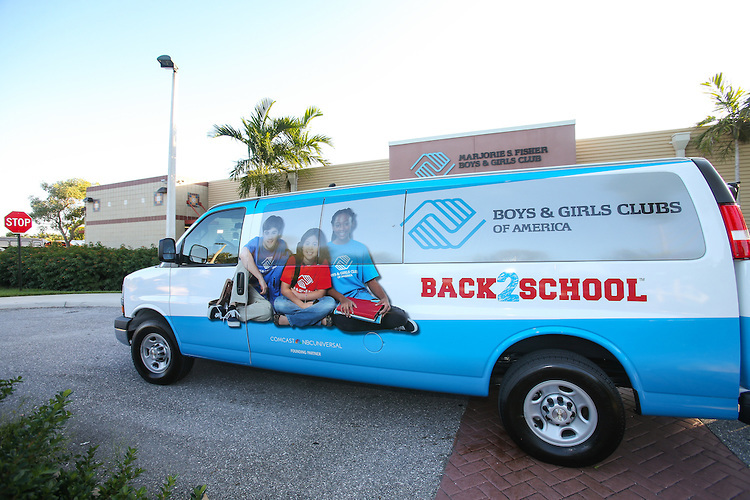 Boys & Girls Clubs of America presented Boys & Girls Clubs of Palm Beach County with a brand new 2016 Chevrolet Express Passenger van (MSRP $40,000), generously donated by Dan McGinn of McGinn and Company, as part of the non-profit’s Back2School™ Stuff the Bus challenge. Boys & Girls Clubs of Palm Beach County’s Marjorie S. Fisher Club was awarded the van because of their service to kids in the community. The new vehicle will be used to help the organization with transporting kids and teens to the facility after-school. This critical resource is vital in helping local youth get the opportunity to attend a Club to engage in Club programming and activities like homework help, STEM learning, coding, sports and leadership clubs. Dan McGinn, who has an ongoing association supporting the valuable efforts of the BGCA, was happy to provide this vital transportation to a deserving Boys & Girls Club organization.